System-agnostic stuff is becoming increasingly popular; so many folks have a game system they like (Savage Worlds, FATE, d20, and so on), but are interested in new ways to play with those systems. Lots of very creative folks are focusing on world-building rather than re-inventing game mechanic wheels, and some of the stuff coming out of those efforts is worth a good look for GMs enterprising enough to adapt. “The Equinox Setting Guide is a book of ideas, a condensed description of a much larger universe. 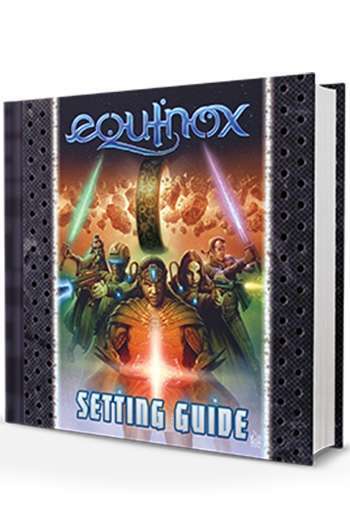 This book presents the setting and background of Equinox, which you can use for a wide variety of things: as a game world for your favorite roleplaying game system, as inspiration for writing stories, for designing your own board or digital games, or just as a good read for spurring your imagination.